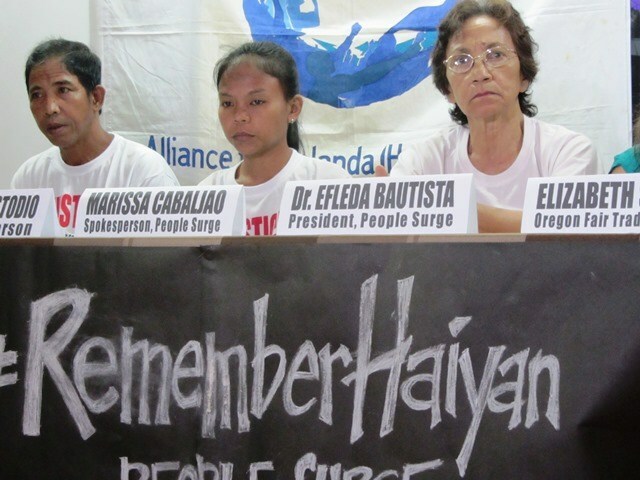 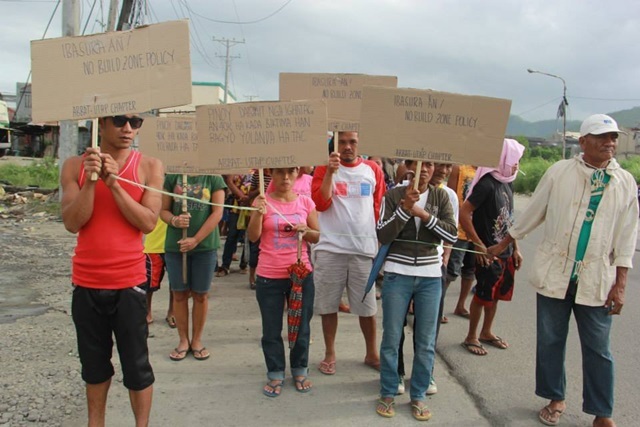 Super-typhoon Yolanda survivors grouped under the alliance People Surge blasted the Aquino government for its “persisting injustices” toward typhoon victims. 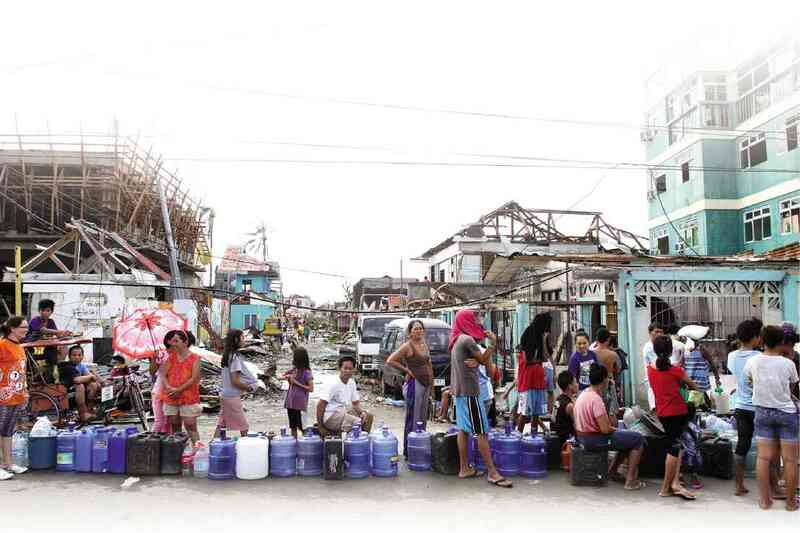 People Surge rejected outright the statement of Presidential spokesman Herminio “Sonny” Coloma that the Aquino administration supposedly has been doing its best to solve its deficiencies in its duty to assist Yolanda survivors. 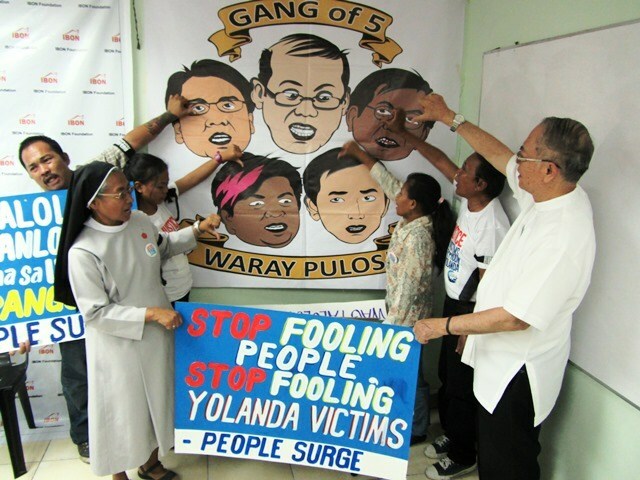 Such a lie is “even more atrocious,” according to Dr. Elfleda K. Bautista, chairperson of People Surge. 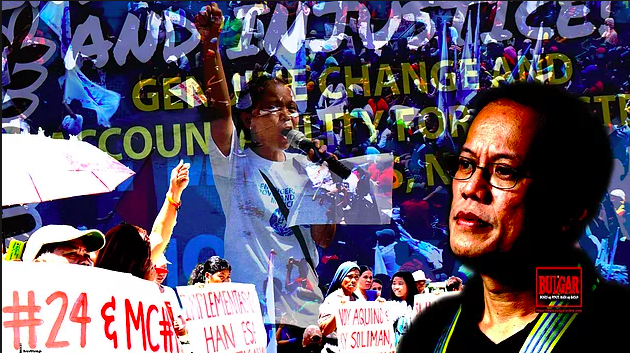 She recalled Aquino’s “arrogance and callousness” over ordinary people before and after Yolanda. 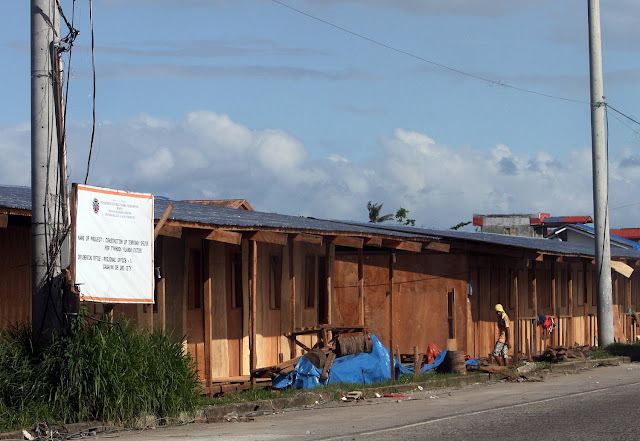 While government reports some level of “achievements” in providing for the storm survivors, the latter actually merely gets precarious shelter and livelihood, while Aquino’s big business allies get profitable government contracts in the name of “rehabilitation.” People Surge cited as examples infrastructure projects, micro-financing in agriculture, “arbitrary” imposition of No-Build Zone policy along coastal and riverside communities. 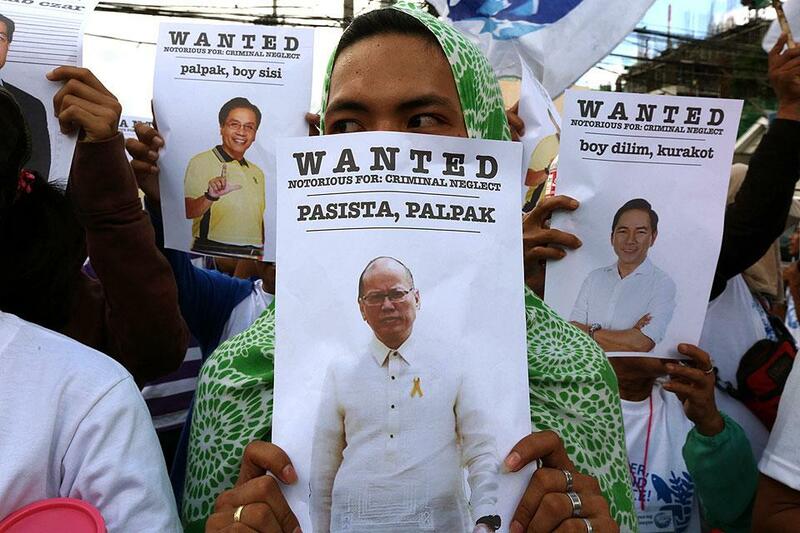 People Surge branded the Aquino government as a traitor, for using Yolanda as ground for allowing US military’s war games, surveillance and other forms of disaster militarism. If deception, divide and conquer and the threat of withholding even small relief failed to bar people from criticizing the government’s negligence and plunder, there is state violence. 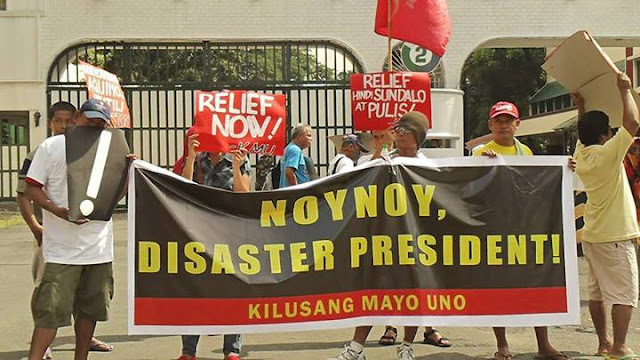 People Surge blames the Aquino government’s flawed and scant relief and rescue operations for the estimated 18,000 deaths, billions of pesos in damages to agriculture and infrastructure, and the breaking down of basic social services. 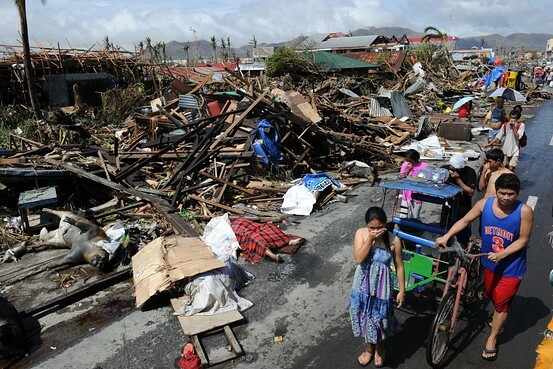 “We will never forget – and certainly never forgive – how the death toll is feared to have reached around 18,000 because the Aquino administration is simply insincere in responding to the strongest typhoon ever to make landfall in history,” Dr. Bautista said as People Surge gears up to welcome disaster survivors in similar plight from Mindanao.